Perfect Gift: A RealTruck electronic gift certificate is perfect for any guy or gal who loves their car, truck, or SUV and is great for any occasion. Maybe you don't know exactly what your loved one needs or wants for their vehicle. The RealTruck gift card allows them to make the perfect purchase at their convenience. Give the gift of car accessories or truck accessories. Convenient: The RealTruck Gift Card makes shopping easy. The gift certificate is emailed to you in a matter of minutes and can then be printed off or forwarded to the lucky recipient. The best part of all, is that all this can be done from the comfort of your own home. Quick: Purchasing a RealTruck Electronic Gift Certificate is the quickest way to shop. The entire process from purchasing the gift card, receiving the card, and printing it off can all be done in a matter of minutes. Never Expires: A RealTruck Gift Card is good towards any future purchase and it never expires. There are no hassles or special limitations. Simply give the gift of RealTruck and let your special someone enjoy it at their convenience. The perfect gift for any occasion is a gift card or certificate. RealTruck electronic gift certificates are a smart choice for anyone on your holiday list The ideal gift for the car and truck enthusiast. They're available in various denominations and good toward future online or over the phone purchases at RealTruck.com. E-gift cards will arrive in a matter of minutes. The electronic gift certificate has an attractive template, so you can print the gift certificate from at home and be ready to go in no time at all. 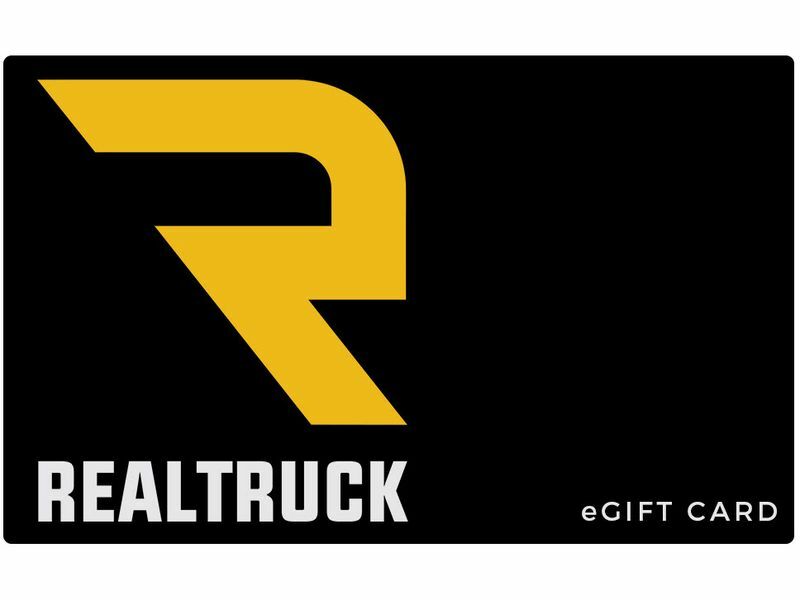 RealTruck gift cards have no expiration date and can be used anytime. The RealTruck gift cards do not have a warranty, but will never expire.